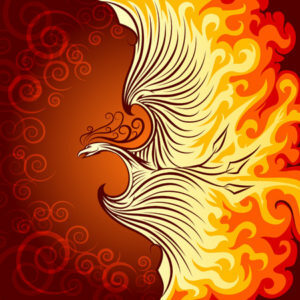 Elizabeth Lesser calls the “Phoenix Process” a time when you seem to burn to death with a life lesson, but you then emerge… alive and enlightened because of the experience. When you go through a really difficult time in your life, it may be the most valuable of lessons providing you with the greatest soul growth. You are constantly being challenged, and when you rise to the occasion, transformation takes place.